Used 2018 Chevrolet Equinox LT Sport Utility 4D for sale online at Roberts Auto Sales in Modesto, CA. Price shown does not include tax, license, dealer document preparation fee, finance charges (if any) and smog fees. *Savings shown is based on Blue Book retail! **Your carrier may have texting charges. - &ast;Stock vehicle data shown, features can vary slightly on occasion. 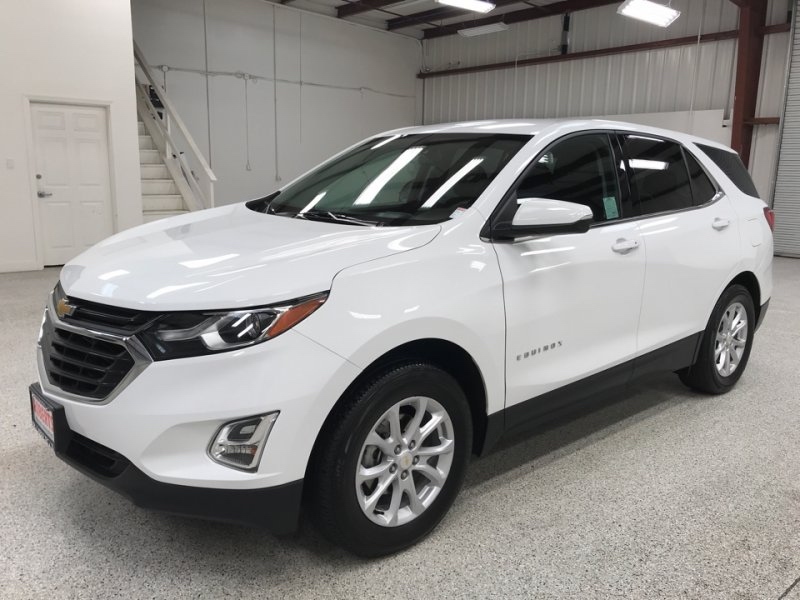 Questions about this lovingly used 2018 Chevrolet Equinox LT Sport Utility 4D. We accept trade-ins, paid off or not! We pay top dollar for trade-ins! Bring in any written offer! All of our used vehicles have a 5 day 100% money back return policy guarantee. If you decide the pre-owned vehicle you picked is not right for you, simply return it for a full refund or pick out a new one! We recondition all vehicles, cleaning or replacing seat fabric/leather, tires, headliners, truck liners and more! Ask your friends and family what they think about this used 2018 Chevrolet Equinox LT Sport Utility 4D! Share using the buttons below! Just purchased my car from Roberts and they had phenomenal customer service extremely professional and wonderful team to work with! Absolutely love my car thank you! One of the best places to go for used cars. No pushy sales person following you around asking if you need something. Roberts is the best!! Excellent customer service and a great selection of cars! Also their new service center is incredible!! You're not going to have a better experience anywhere else! Richard at Roberts Auto Sales was awesome! Told him what kind of car I was looking for and the price range I wanted to stay in and he really worked with me! Thanks to Todd, we purchased a family vehicle that we really LOVE!! 2016 Tahoe. Monthly payments are in our price range and it was financed through credit union. Really low APR rate. This is the only place I would buy a car from we have bought 3 cars from them already and wouldn't dare go anywhere else. I highly recommend this place to family & friends. Best place to go if your looking for a car. They have thousands of cars you won't regret it. You will come out happy with the car you want. Junior helped us last night with the purchase of our new Ford Fusion! He was extreme QUICK (we had our two children with us). The process was EASY and SMOOTH! Wow, what a wonderful experience, my drive from the Bay Area was well worth it, beautiful with great prices. I will never, ever shop anywhere else but Roberts Auto Sale! With our 5-Day money back guarantee you risk nothing. You have 5 days to ensure your purchase is the right vehicle for you. If not, we'll pick up. Roberts Auto Sales of Modesto, CA has an incredible reputation for before, during and after purchase customer service. No matter what it is, we are always available to our customers. We've been a part of the Modesto / Central Valley and California community for over 30 years. Our only goal is to provide awesome cars at very low prices. We've been voted Best Used Car Dealer every year for over a decade by Modesto Bee readers! Copyright © Roberts Auto Sales, Inc.
Purchase a new car without ever leaving your home! Browse our website and find the vehicle you are interested in. We have hundreds of cars, trucks and SUVs! Fill out our simple online credit application. It is fast and secure. We typically get back to you within an hour! Go over the payment and other details with one of our live finance managers. Schedule a time for your new vehicle to be delivered!! Take it for a test drive once we arrive, make sure everything looks great! Most deliveries arrive within 48 hours of approval! Click on the Financing menu item above and we'll get the process started! Get pre-approved for this ! Receive a credit decision within an hour! Estimate your monthly payment! Actual results can vary based on county tax rates and other factors.